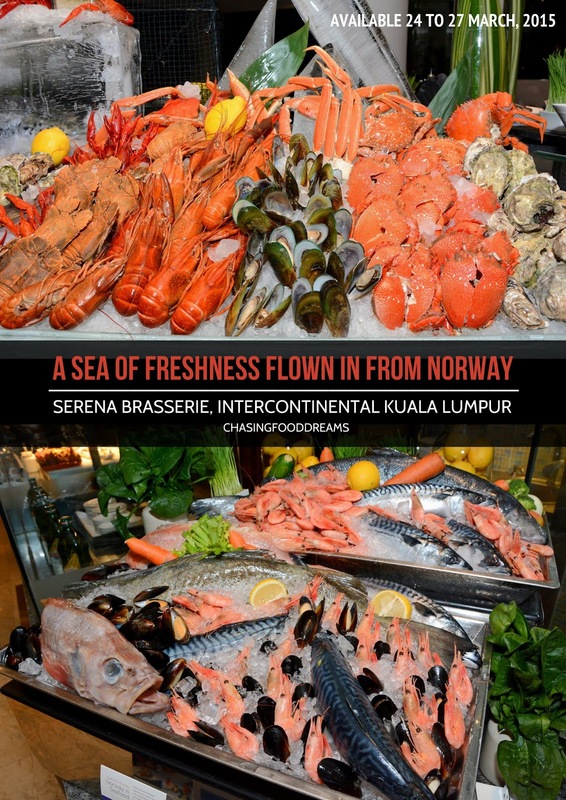 Seafood aficionados would not want to miss the four-day Norwegian Seafood Promotion at Serena Brasserie, Intercontinental Kuala Lumpur! 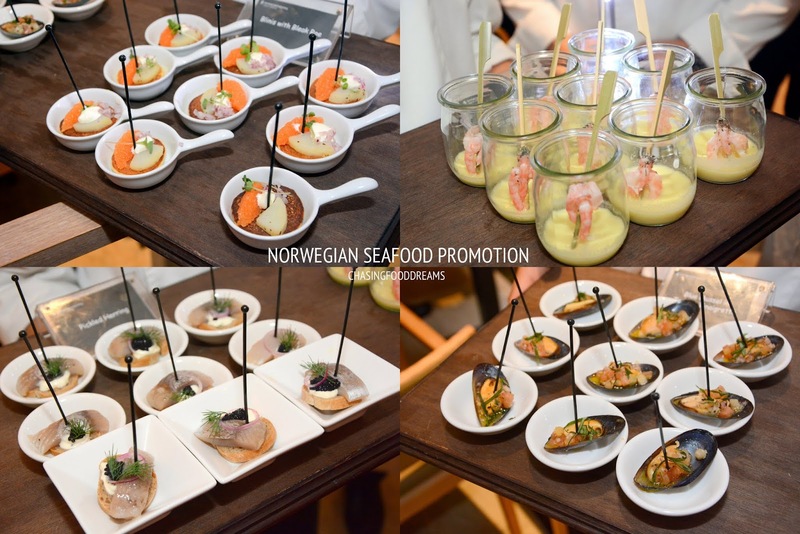 Held from 24 to 27 March, 2015 at the hotel’s signature all-day dining, the seafood buffet promotion will feature first-class Norwegian seafood flown in from Norway. This collaboration with GST Group is set to entice many gourmands with its impressive spread of scrumptious sea treasures. Leading the Norwegian Seafood spread is Norwegian Chef Markus Peter Dybwad, a humble and young chef that has a wealth of experience from Scandanavia as well as Europe including previous stints at three Michelin star restaurant, The Fat Duck alongside celebrity Chef Heston Blumenthal. Working together with Intercontinental Kuala Lumpur Executive Chef Sam Kung, the duo is set to impress diners with their own repertoires of international and local dishes in the seafood buffet. 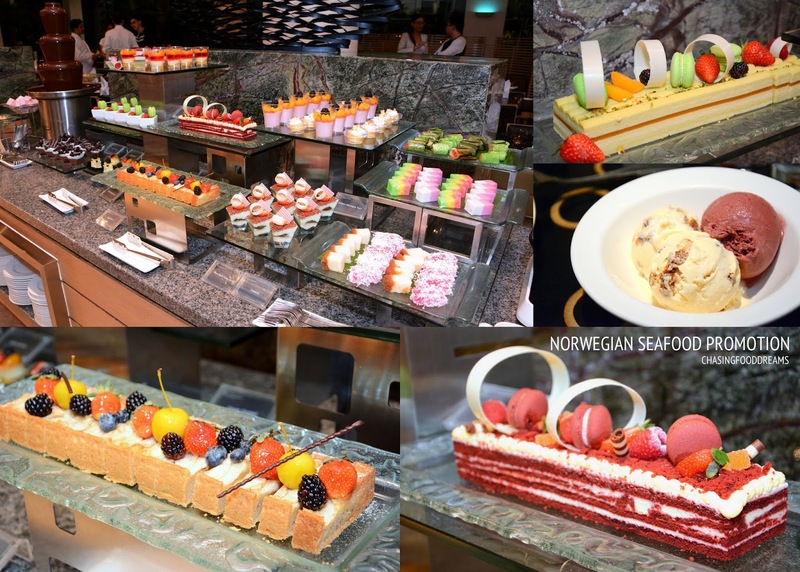 The moment one enters the restaurant, a long bar is set to entice your appetites with a magnificent spread of Norwegian seafood treasures. Diners can expect nothing but the best of seafood such as Salmon, Norwegian Coldwater Prawns, Snow Crab, Crab, Spanner Crab, Prawn, Mussel, Crayfish, Yabbies, Crawfish, Oysters and more. Enjoy the freshest Salmon and Tuna Sashimi with other Japanese sushi together at the same bar as well. A must-try is the deliciously sweet and firm Norwegian Coldwater Prawns! The medium size shrimp is bursting with tiny roes beneath its shell. There is an unusual oceanic sweetness about the prawns that many are hooked on it after the first taste. The oysters were also fresh and very good. Besides the seafood bar, guests will be able to see Chef Markus preparing a variety of his Scandinavian mouth-watering dishes such as Skagen Salad (creamed seafood salad), Smoked Salmon with Scrambled Eggs, selections of Herrings, smoked mackerel, smoked salmon, cured salmon trout ‘Gravalaks’ style. Chef Markus proceeded to demonstrate a dish of his in a live cooking show together with Chef Sam and everyone was treated to an array of Scandinavian specialties in the form of canapés. Besides the chilled seafood, there is also a Grill Station where a luscious array of assorted seafood and meat are grilled to order! The hot buffet station will also feature Baked Salmon Fillet, Halibut in Cream Sauce, Atlantic Cod with Soy Butter and Red Fish with Ratatouille from Chef Markus’s list of signatures. 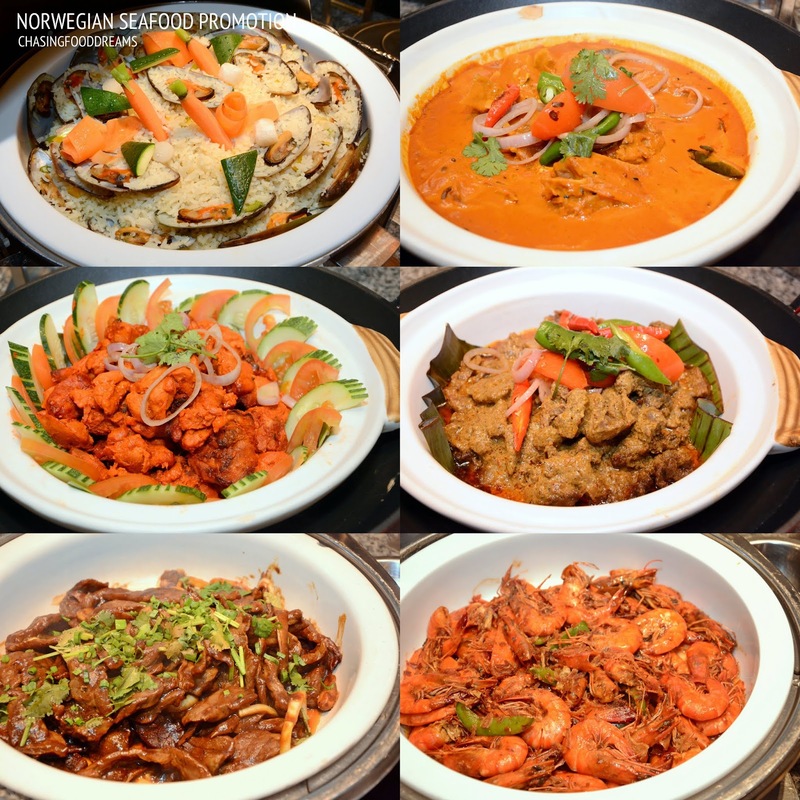 Besides the main seafood highlights, there is also a list of local favorites from Malay to Indian dishes. If you spied small packets of Nasi Lemak, grab one! The coconut rice is fluffy and so flavourful with a dollop of sambal and a wedge of egg. Enjoy this with the Beef Rendang or the Lamb Curry which are superbly tasty! There is a Noodle Station where diners can enjoy Mee Mamak or Char Kway Teow and Noodle of the Day as well. Besides the above mentioned list, there are the usual Salad Bar, Soup and Bread with Cheese Bar and Dessert Bar. Enjoy Chocolate Fountain, cakes and pastries, local kuihs, fruits, in-house made ice cream and also Kapiti Ice Cream from New Zealand. 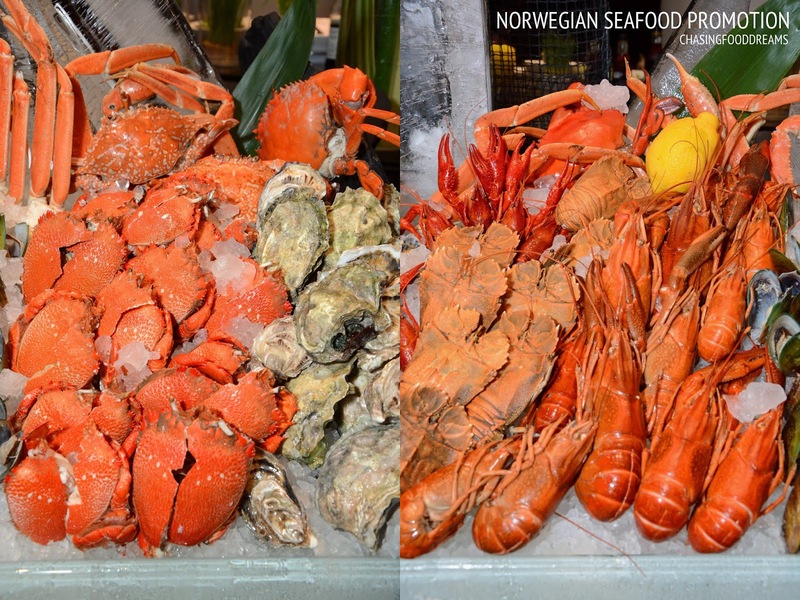 So make your way to enjoy this special 4-day Norwegian Seafood promotion for a taste of premium freshness and quality seafood from 24 to 27 March, 2015 in the heart of our city! The Norwegian Seafood promotion at Serena Brasserie is priced at RM120++ per adult, or toaste to the coast at RM180++ per adult inclusive of a bottle of red or white wine and RM60++ per child. 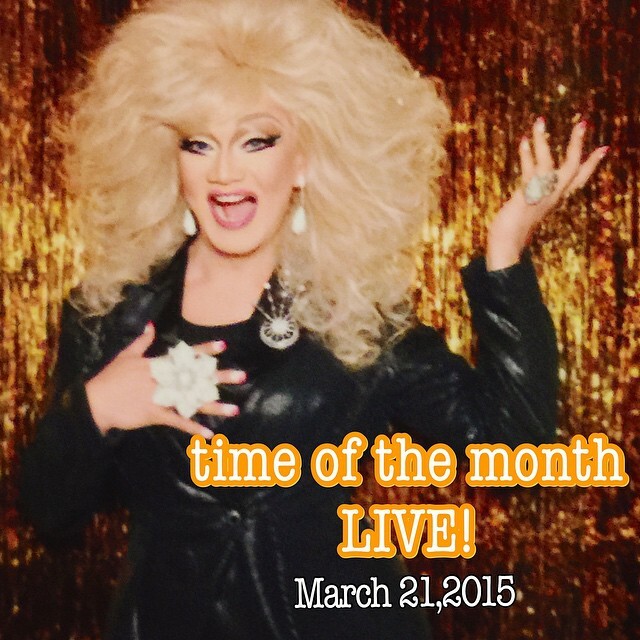 After dinner, one might even want to head up to the hotel’s Bentley Pub to catch SHELAH ‘Time of The Month’ Live shows. The Queen of Malaysian entertainment will have you enjoying a fun-fill evening of laughter and merriment. The live shows will be held on 21 March and 25 April 2015 at 9.30pm. Ticket priced RM70++ per person inclusive of one drink, bar snack and 30% dining discount for Serena Brasserie ‘Seafood Galore’ buffet dinner on the same day. This is so gorgeous, we will spend 3 hours there to enjoy all the delicious seafood.